Rupert Murdoch – World Economic Forum Annual Meeting Davos 2007: Photo courtesy of worldeconomicforum at http://www.flickr.com. 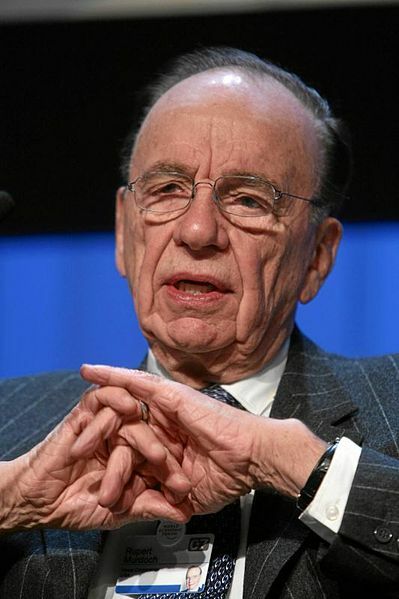 Using Twitter as his platform, Rupert Murdoch, co-chairman of News Corp as well as 21st Century Fox, announced the likely sale of the Chicago Tribune. Also on the chopping block is the Los Angeles Times. The Trib will be purchased by a Wall Street firm, while the LA Times will go to local investors, including the philanthropist Eli Broad. No further information about the sale was either tweeted or made available. Murdoch did tweet that he had no interest, and did not say who the buyers were or when the sale would take place. A spokesman for the LA Times referred all questions to a Tribune Company spokesman, but that spokesman could not be reached. Someone speaking on behalf of Eli Broad did not want to comment on the rumor. Other newspapers published by the Tribune Company include the Wall Street Journal, the Baltimore Sun, Hartford Courant, Sun Sentinel and Orlando Sentinel.